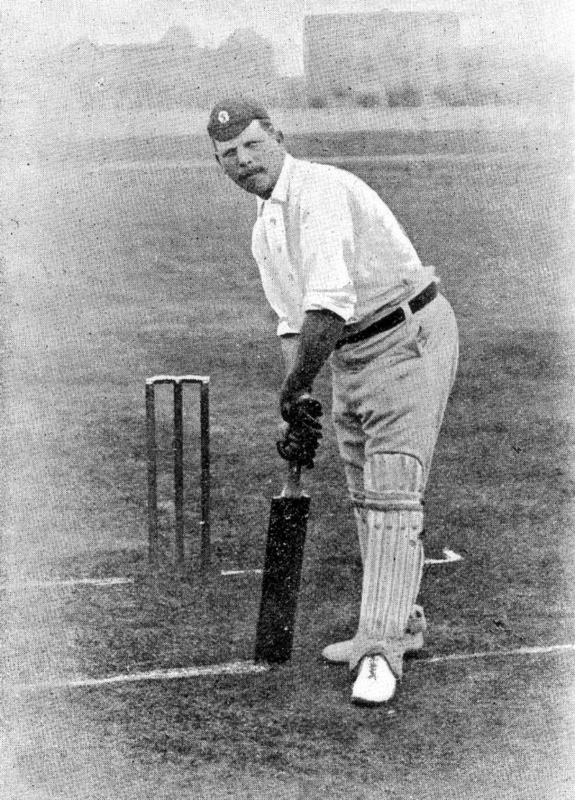 Wilfred Flowers (1856–1926) was a professional cricketer who played for Nottinghamshire County Cricket Club between 1877 and 1896. He was born on 7 December 1856 in Calverton, Nottinghamshire, England, Wilfred was a slow bowler, who bowled offbreaks and a strong batsman who was one of the leading all-rounders of his day. He first played for Nottinghamshire in 1877, and established himself slowly in a very strong side despite being known to be unplayable on a sticky wicket. In 1881, however, a players’ strike devastated Nottinghamshire and Wilfred, seen as a player with less resolve than Alfred Shaw, Fred Morley, Arthur Shrewsbury, and John Selby, was approached by county officials and took advantage of the opportunity to become much more important in the redevelopment of the county. He took such advantage of this that in 1882 he took one hundred wickets for the first time. His batting, which had been not outstanding but valuable in an era of very low scoring, developed greatly the following year, in which Wilfred became the first professional to do the double of 1,000 runs and 100 wickets. Playing for the MCC against Derbyshire, Wilfred had the outstanding record of an innings of 131 and eleven wickets for eighty-seven runs. Above: A vintage illustration featuring the Nottinghamshire county cricket team published in 'The Illustrated Sporting and Dramatic News' on 6th September 1884. John Selby, William Scotton and Mordecai Sherwin. He bettered this for the same club against Cambridge the following year, scoring 122 and taking fourteen wickets for 160 runs, and despite not doing quite so well with either bat or ball was still good enough to tour Australia with Alfred Shaw's teams in 1884–85. However, not physically strong enough for the hotter climate and drier wickets of Australia, Wilfred only rarely, as when taking five for 46 in the Third Test and eight for 31 in the first match on a rain-damaged wicket, lived up to his English form. He did maintain his form well enough to tour again in 1886–87, but this time he did very little worthy of his reputation. Even at county level, Flowers was increasingly overshadowed, especially in dry weather, by the physically hardier William Attewell. Nor did his batting advance during a succession of wet summers, but in the dry season of 1893 Wilfred reached a four-figure run aggregate for only the second time. In the process he played an innings of 130 against the touring Australians including Charles Turner, George Giffen and Hugh Trumble, and was thus unsuccessfully picked for his last Test at Lord's, where he made 35 but was omitted in favour of Johnny Briggs who was bowling immensely better at county level. Wilfred still bowled well in 1894, but in the dry weather of 1895 his bowling lost him: in his final season of 1896 he was put on for only twenty overs. He did achieve the notable feat of scoring a century in his last match against Sussex. ​After retiring as a player, he served as an umpire from 1907 to 1912. Wilfred was married to Martha, and was a frame work knitter, and later a lacehand, by trade. At birth, he was registered as Wilfred Flower. His cousin Thomas Flowers also played first-class cricket. He died 1 November 1926 in Carlton, Nottinghamshire, England.